This is a wonderful standby for more than just medical. When I was a police explorer many eons ago, when we would go into a particularly raunchy house, the officer I was with always handed me a small tube of menthol jelly to put under my nose so I wouldn't get sick. I also have hands that peel in the winter, they can peel so bad it bleeds. So when it gets uncontrollable I will get some thin cotton gloves and coat my hands with jelly, then put the gloves on so that while I sleep at night my hands have time to heal. This works wonders over the course of a night or two. Below you will find other uses for it as well, and as usual please feel free to comment with what you have used it for. It really is a more solid form, and smells better than wd-40. ¤ Rub it on your hands to form an invisible glove for your next paint job or dirty chore. (The same trick works to protect your face when painting the ceiling). 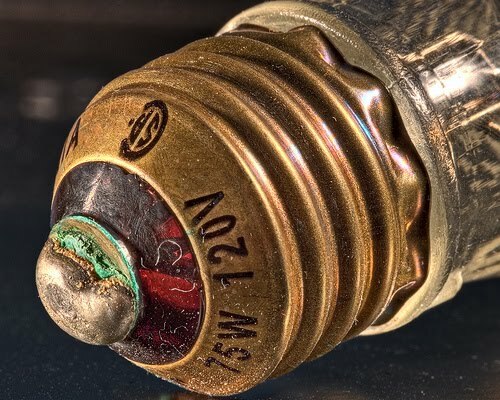 ¤ Put a thick coating on the threads of glue tubes or any screw cap where the ingredients can seal on the cap, for easy removal next time around. ¤ Remove white water rings and hot dish marks from furniture by coating with the jelly and letting stand overnight. ¤ Petroleum jelly shines patent leather. ¤ Nuts and bolts that must be removed come off easier when coated with petroleum jelly. ¤ A refrigerator door gasket that doesn't quite seal can do its job better with a thin coating. 1. In a double boiler over simmering water and medium heat, combine the olive oil and beeswax, and heat until the wax has melted. 2. Remove mixture from the heat and add the grapefruit seed extract. 3. Beat with a hand mixer until creamy. Lip balm! Put it on before you go to bed. When I was about 13 years old, my friend and I used it on our eyelashes -- we weren't allowed to wear makeup yet but had read somewhere that a little dab of petroleum jelly was a substitute for mascara. And yes, I remember shining our Sunday school shoes with Vaseline. Use a bit around your hairline and ears before applying hairdye that stains! Use a bit on your hands, and they will wash cleaner as well. You should not use Petroleum jelly on the car battery terminals. Just don't do it man. Because petroleum jelly is flammable. That doesn't make sense. In the article he suggests putting a birthday candle into petroleum jelly. My dentist recommended I put a thin layer on my gums at night because I breathe through my mouth while sleeping. Did the dentist recommend as a way to keep the mouth from drying out? They also suggest that people who wear oxygen do not use petroleum jelly as a moisturizer on the mouth, lips, or nose because it (petroleum jelly) is flammable and, of course, the oxygen would fuel a fire if it were to start. If you play contact sports (especially if you play them on fake turf) slather you knees and elbows with it to prevent injury. Also usefull to insulate yourself against bad weather. i love to use it during winter season.its keep my skin soft & shine. 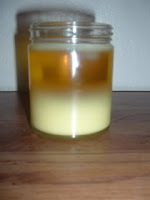 In the case of the candle in the petroleum jelly, the petroleum jelly is meant to be fuel for the wick in the candle to burn in addition to the normal wax. In the meantime, the jar keeps the whole thing contained. But in the case of the car battery, the last thing you want is open flame. The reaction inside of car batteries creates flammable gasses. If the petroleum jelly catches fire, so can the battery, which will often dutifully explode or burst into flames itself. This is also why jumper cable instructions are confusing-- to avoid the spark of the last connection happening too close to the battery. Being made of silicone instead of petroleum, it has great temperature characteristics (good for -40F to +400f); won't "run" when hot, as in a car's engine compartment. While silicone dielectric costs more per ounce than petroleum jelly, a 1/2 ounce tube lasts for years and years. Same but it doesn't stick!